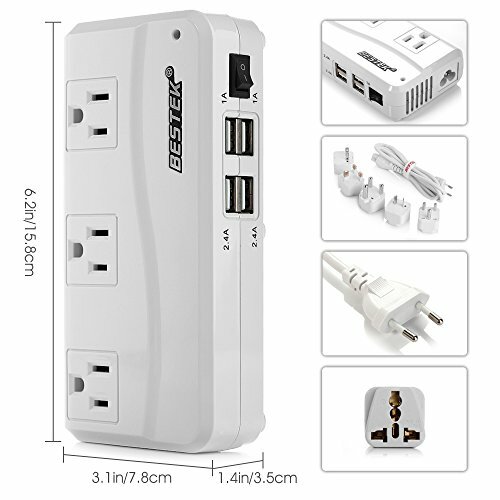 BESTEK Travel Power Voltage Converter, EASY YOUR TRIP ! 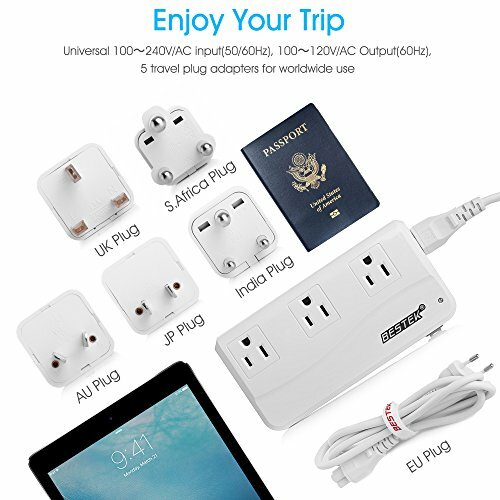 5 international travel adapters (Type G/D/M/AU/US) and 1 EU power cable for worldwide use,support outlets in United Kingdom, Hong Kong, Indonesia,Dubai,Europe, Australia, Japan, China, North America, South Africa,India etc, more than 160 countries. 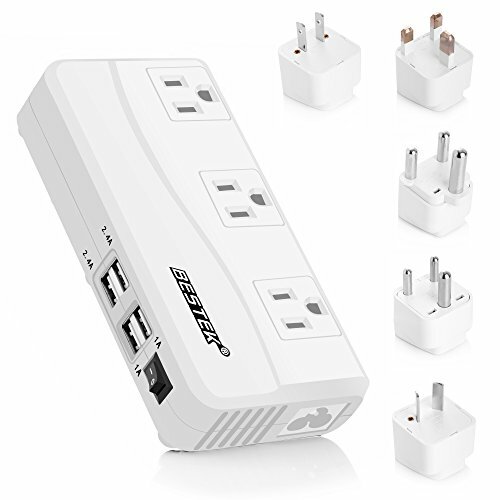 BESTEK Power Converter,converts voltage from 100-240V to 100-120V ,ideal for powering your US electronic devices abroad. 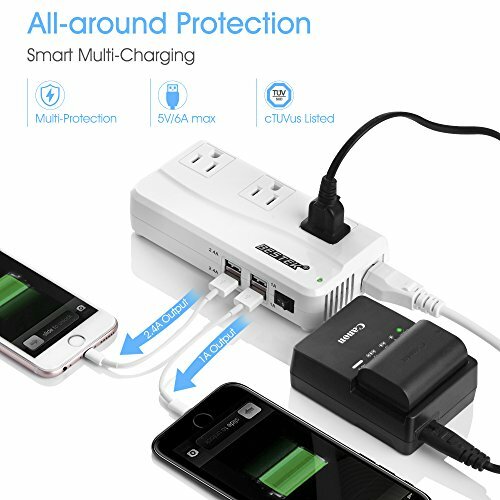 4 smart USB charging ports with 3 AC outlets, enables you to charge 7 devices simultaneously without taking turns charging. 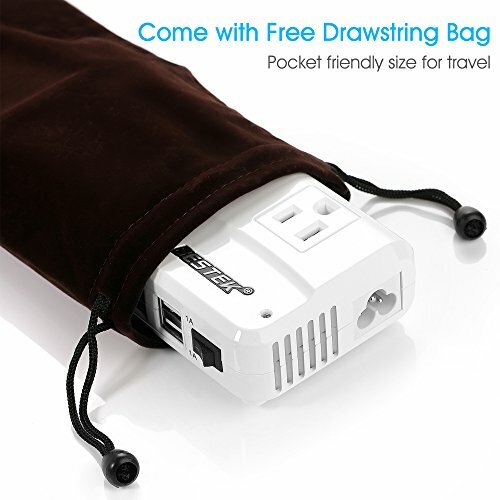 Compact size(6×3×1.57 in) with a drawstring travel bag,A MUST HAVE for your trip. TÜV SÜD Listed, NRTL safety tested. Built-in over-current, over-temperature, overload, short-circuit protection,fire-retardant material. 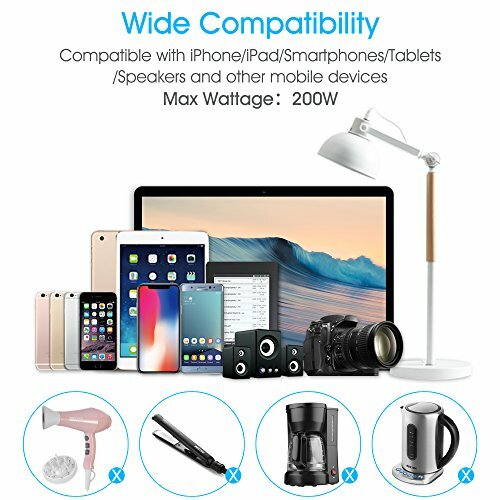 – Do not use this power converter to charge your hair dryer, hair straightener, and curling iron regardless of their wattage. – Please test the power converter before going abroad and feel free to contact us if you have any issue. 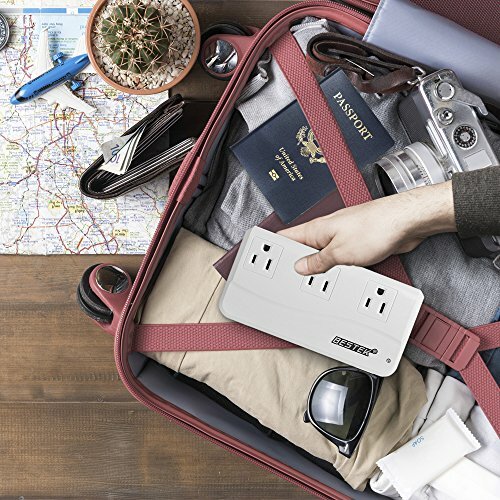 Portable and Universal: Compact size(6×3×1.57 in) with 5 international travel adapters (Type G/D/M/AU/US),powering your devices in more than 160 countries,EASY YOUR TRIP!